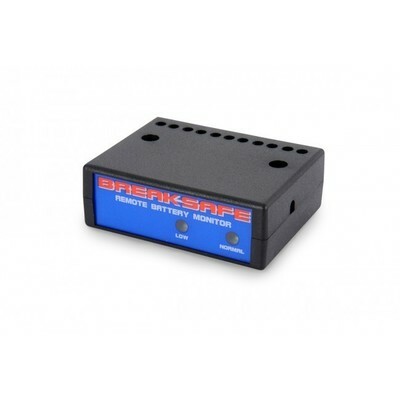 Stay within the law and protect the safety of your family when towing by installing a Breaksafe Remote Battery Monitor. The BREAKSAFE RM6000 Remote Battery Monitor is fitted inside the tow vehicle and operates each time the brake pedal is pressed. The additional circuitry in the BREAKSAFE 6000 disconnects the Breaksafe battery from the charge circuit and then connects the battery to the Remote Monitor. A small electronic load inside the Remote Monitor then pulls the battery terminal voltage down. The micro-processor inside the Remote Monitor measures what the voltage drops to over a preset time to determine the charge state of the Breaksafe battery. 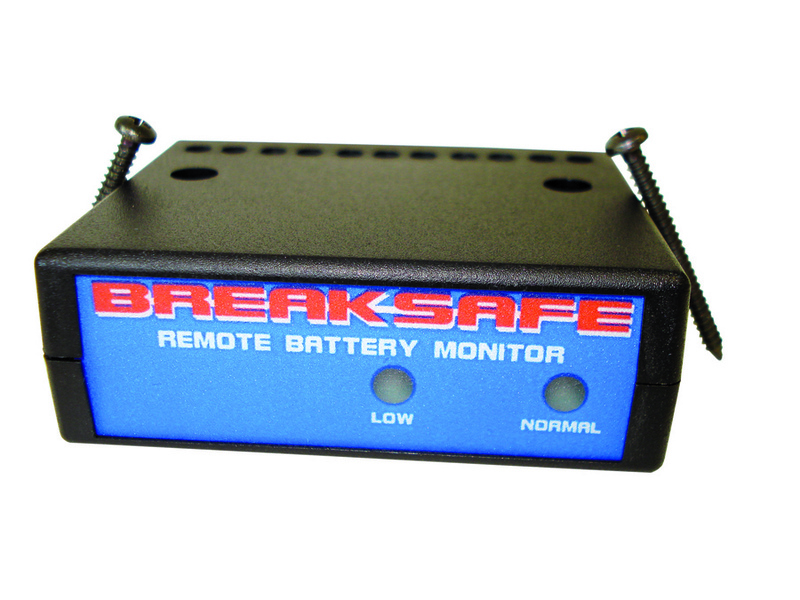 Should the Breaksafe battery be fully charged, a green light will illuminate on the front panel of the RM6000 Remote Monitor. If the battery is below the safe level, a red light will flash and a buzzer will sound for about 10 seconds. 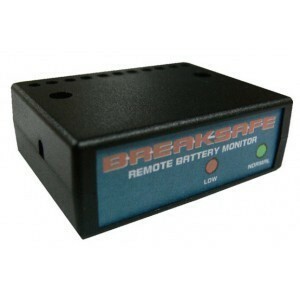 The RM6000 Remote Battery Monitor can only be used in conjunction with a Breaksafe 5000 or 6000 breakaway kit. It will not work correctly when connected to any other breakaway system. A remote battery monitor is required by the NSW Roads & Maritime Serivces to be fitted to certain tow vehicles for Registration in NSW. For more information visit the NSW Roads & Maritime Services site.